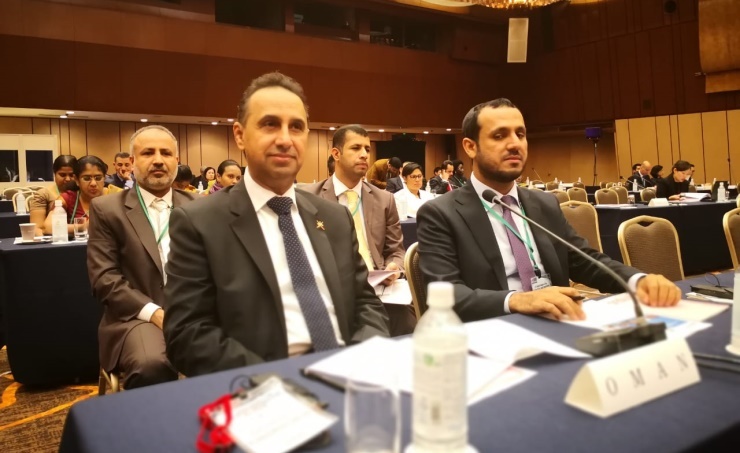 Tokyo, Oct. 11 (BNA): Dr. Abdullah bin Mohammed Al-Sa'eedi, Minister of Legal Affairs headed the Sultanater's delegation to the 57th session of the Asian-African Legal Consultative Organisation (AALCO), currently held in Tokyo Japan. of international law and the importance of such meeting in enriching national and international legal work, Oman News Agency (ONA) reported. He presented the Sultanate's views on legal issues on the agenda of the meeting, such as the Sea Law, the International Commerce Law and the International Investment Law. He stressed the importance of peaceful settlement of international disputes, which was proposed on the agenda of this conference by the Japanese government. Meanwhile, the Japanese Prime Minister received Dr. Abdullah bin Mohammed al-Sa'eedi, Minister of Legal Affairs at the premises of the Council of Ministers in Tokyo while receiving heads of the delegations taking part at the AALCO meetings.